Johann Zietsman has a burning question. 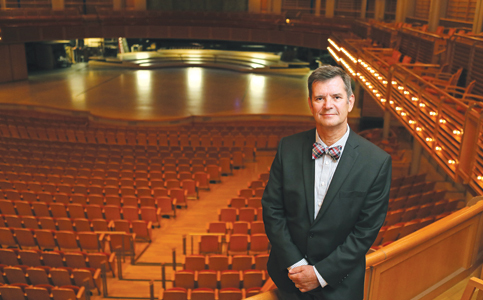 Since starting in February, the new president and CEO of the Adrienne Arsht Center for the Performing Arts has asked everyone – leaders, stakeholders, friends, board members and sponsors of the center as well as attendees and South Florida residents – about what makes Miami tick, where the city’s headed and what, of its myriad unique qualities, is its most distinctive characteristic. It could be Miami’s comparatively short history that allows it to develop more rapidly than areas more deeply steeped in tradition. It could be its diversity. Or maybe it’s the mood – that feeling he said he senses of a city on the precipice of a next big chapter. Possibly it’s all three, or more. To get the right answer, he plans to launch a “strategic thinking process” with the center’s full staff, host public focus groups and continue pursuing his query in every conversation. Over the next year, he said, he’s going to find out. Mr. Zietsman sat down with Miami Today reporter Jesse Scheckner. The interview, recorded by Jahmoukie Dayle, can be found Friday at https://bit.ly/2UdTyGr.